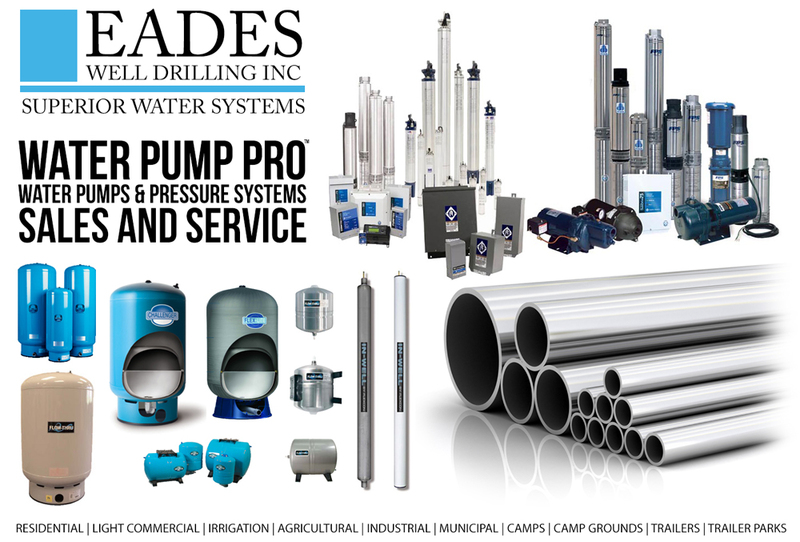 EADES WELL DRILLING INC and oth­ers are either trade­marks or reg­is­tered trade­marks of EADES WELL DRILLING INC. Oth­er prod­uct and com­pa­ny names men­tioned on the Site may be trade­marks of their respec­tive own­ers. 4. Lim­it­ed Right to Use. 5. Edit­ing, Delet­ing and Mod­i­fi­ca­tion. UNDER NO CIRCUMSTANCES SHALL EMERALD CITY MEDIA OR DAVE’S QUALITY PEST CONTROL SERVICES BE LIABLE FOR ANY LOSS OR DAMAGE (INCLUDING SPECIAL, INDIRECT OR CONSEQUENTIAL DAMAGE) WHATSOEVER WHICH MAY ARISE FROM OR IN CONNECTION WITH THE USE OF IMAGES OR CONTENT OF ANY TYPE OF UNKNOWN ORIGIN OR AUTHORSHIP, IMAGES OR CONTENT OF ANY TYPE OF UNKNOWN ORIGIN OR AUTHORSHIP PROVIDED BY THIRD PARTIES, QUOTATION OF EXCERPTS IN A REVIEW OR CRITICISM FOR PURPOSES OF ILLUSTRATION OR COMMENT ; QUOTATION OF SHORT PASSAGES IN A SCHOLARLY OR TECHNICAL WORK, FOR ILLUSTRATION OR CLARIFICATION OF THE AUTHOR’S OBSERVATIONS ; USE IN A PARODY OF SOME OF THE CONTENT OF THE WORK PARODIED ; SUMMARY OF AN ADDRESS OR ARTICLE, WITH BRIEF QUOTATIONS, IN A NEWS REPORT ; REPRODUCTION BY A LIBRARY OF A PORTION OF A WORK TO REPLACE PART OF A DAMAGED COPY ; REPRODUCTION BY A TEACHER OR STUDENT OF A SMALL PART OF A WORK TO ILLUSTRATE A LESSON ; REPRODUCTION OF A WORK IN LEGISLATIVE OR JUDICIAL PROCEEDINGS OR REPORTS ; INCIDENTAL AND FORTUITOUS REPRODUCTION, IN A NEWSREEL OR BROADCAST, OF A WORK LOCATED IN THE SCENE OF AN EVENT BEING REPORTED, USE OF THE CONTENT OR THE PERFORMANCE OF SERVICES ON THE SITE OR ANY ASSOCIATED WEBSITES. We allow access to or adver­tise third-par­ty mer­chant sites (“Mer­chants”) from which you may pur­chase cer­tain goods or ser­vices. You under­stand that we do not oper­ate or con­trol the prod­ucts or ser­vices offered by Mer­chants. Mer­chants are respon­si­ble for all aspects of order pro­cess­ing, ful­fill­ment, billing and cus­tomer ser­vice. We are not a par­ty to the trans­ac­tions entered into between you and Mer­chants. This Site may include state­ments con­cern­ing our oper­a­tions, prospects, strate­gies, finan­cial con­di­tion, future eco­nom­ic per­for­mance and demand for our prod­ucts or ser­vices, as well as our inten­tions, plans and objec­tives, that are for­ward-look­ing state­ments. These state­ments are based upon a num­ber of assump­tions and esti­mates which are sub­ject to sig­nif­i­cant uncer­tain­ties, many of which are beyond our con­trol. When used on our Site, words like “antic­i­pates,” “expects,” “believes,” “esti­mates,” “seeks,” “plans,” “intends” and sim­i­lar expres­sions are intend­ed to iden­ti­fy for­ward-look­ing state­ments designed to fall with­in secu­rities law safe har­bors for for­ward — look­ing state­ments. The Site and the infor­ma­tion con­tained here­in does not con­sti­tute an offer or a solic­i­ta­tion of an offer for sale of any securi­ties. None of the infor­ma­tion con­tained here­in is intend­ed to be, and shall not be deemed to be, incor­po­rat­ed into any of our secu­ri­ties-relat­ed fil­ings or doc­u­ments. 15. Links to oth­er Web Sites. The Site con­tains links to oth­er Web sites. We are not respon­si­ble for the con­tent, accu­ra­cy or opin­ions express in such Web sites, and such Web sites are not inves­ti­gat­ed, mon­i­tored or checked for accu­ra­cy or com­plete­ness by us. Inclu­sion of any linked Web site on our Site does not imply approval or endorse­ment of the linked Web site by us. If you decide to leave our Site and access these third-par­ty sites, you do so at your own risk. 16. Link­ing to the Site. 17. Copy­rights and Copy­right Agents. 19. Infor­ma­tion and Press Releas­es. This Agree­ment shall be treat­ed as though it were exe­cut­ed and per­formed in The City of Kawartha Lakes, Ontario, and shall be gov­erned by and con­strued in accor­dance with the laws of the Province of Ontario (with­out regard to con­flict of law prin­ci­ples). Any cause of action by you with respect to the Site (and/​or any infor­ma­tion, prod­ucts or ser­vices relat­ed there­to) must be insti­tut­ed with­in one (1) year after the cause of action arose or be for­ev­er waived and barred. All actions shall be sub­ject to the lim­i­ta­tions set forth in Sec­tion 8 and Sec­tion 10. The lan­guage in this Agree­ment shall be inter­pret­ed as to its fair mean­ing and not strict­ly for or against either par­ty. All legal pro­ceed­ings aris­ing out of or in con­nec­tion with this Agree­ment shall be brought sole­ly in The City of Kawartha Lakes, Ontario. You express­ly sub­mit to the exclu­sive juris­dic­tion of said courts and con­sents to extra-ter­ri­to­r­i­al ser­vice of process. Should any part of this Agree­ment be held invalid or unen­force­able, that por­tion shall be con­strued con­sis­tent with applic­a­ble law and the remain­ing por­tions shall remain in full force and effect. To the extent that any­thing in or asso­ci­at­ed with the Site is in con­flict or incon­sis­tent with this Agree­ment, this Agree­ment shall take prece­dence. Our fail­ure to enforce any pro­vi­sion of this Agree­ment shall not be deemed a waiv­er of such provi­sion nor of the right to enforce such pro­vi­sion.